Historians say that of all the graves that have been investigated in the site, none have produced more well-preserved artefacts than the one of the woman found in the Normanton Down Barrow. Archaeologists are still baffled by some of the items buried alongside her body, found in a burial chamber on a ridge in 1808. 'No barrow that we have yet opened has ever produced such a variety of singular and elegant articles,' archaeologist Sir Richard 'Colt' Hoare wrote at the time. 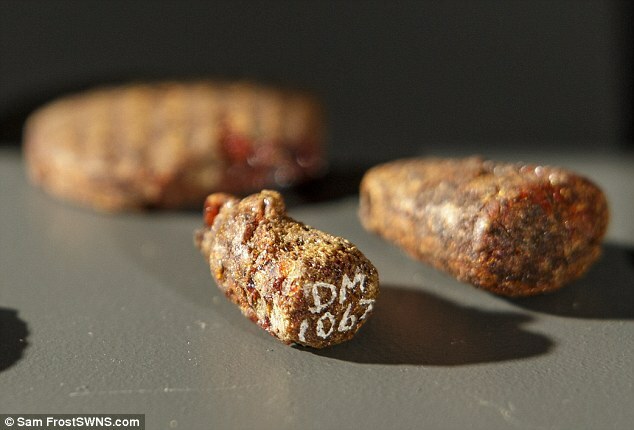 'The objects were made by highly skilled craftspeople experimenting with innovative techniques and the amber earrings are the earliest items found in Britain to show signs of being worked with a lathe,' said a spokesman. 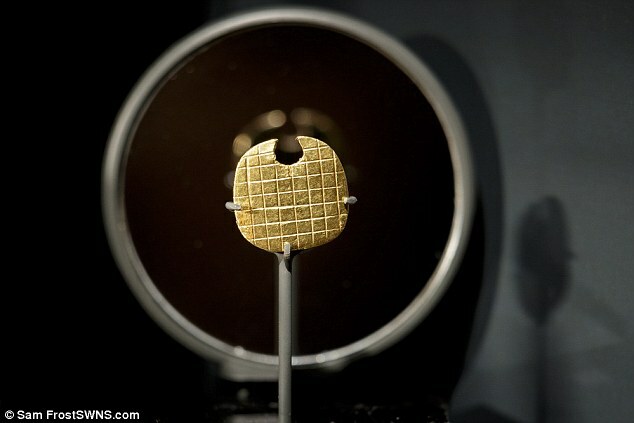 'The miniature amber and gold pendant in the form of an axe is interpreted as a symbol of power and prestige. When they were discovered the objects were described as novelties and even now, they remain to some extent a mystery. The conical objects may have been pendants or toggle buttons used to fasten a cloak. 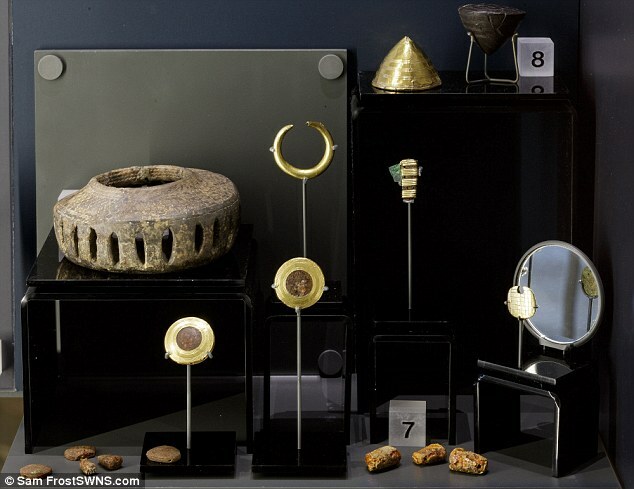 The amber and gold disks may have been earrings and perhaps the horned pendant represented the crescent moon or may have been an ostentatious display item signifying personal wealth in terms of a fine herd of cattle. 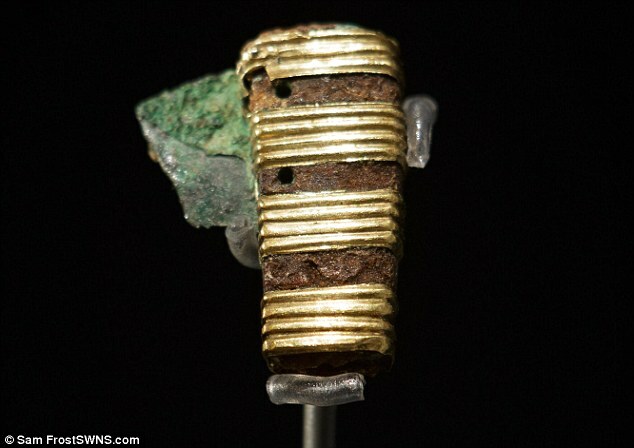 'The most mysterious object is the oblong gold covered bone pendant - with a fragment of bone so significant that it was encased in gold,' continued the spokesman. 'My favourite item is the miniature cup,' added Jo Hutchings, from Wiltshire Museum. 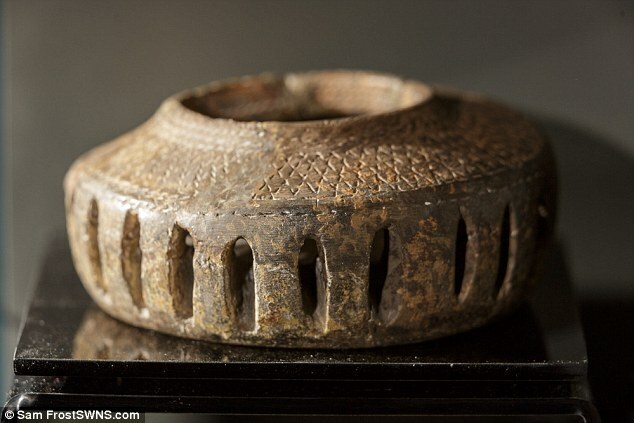 'The story goes that an enthusiastic antiquary present at the opening of the barrow fancied he could see in this cup a design taken from the outward circle of Stonehenge'. It is not known exactly why - or how - Stonehenge was built. Some people think the stones have healing powers, while others think they have musical properties when struck with a stone. They could have acted as a giant musical instrument to call ancient people to the monument. 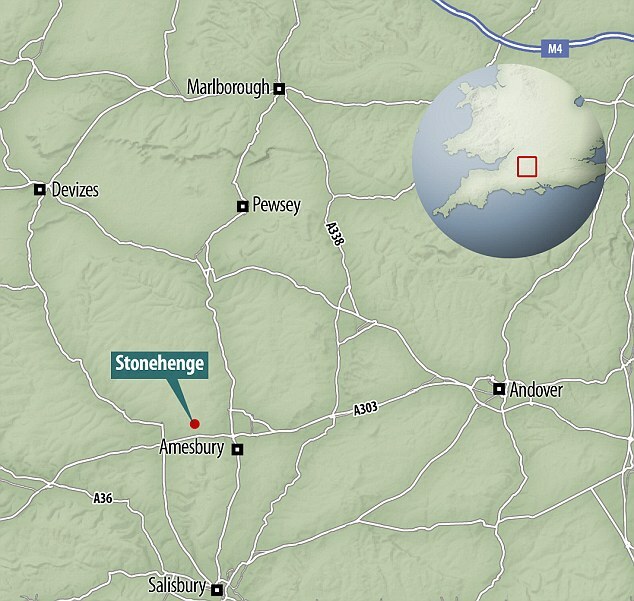 Recently, experts said the route was a busy one and that Stonehenge could be viewed differently from different positions. The mysterious woman found overlooking the famous monument may have had an unusual and elaborate burial, but it was recently discovered the site holds many more females. A burial pit found in February revealed a 'surprising' number of females among those cremated at the Wiltshire site. Researchers spent years sifting through and analysing the remains of adults found at the monument to discover that, to their astonishment, more bones belonged to women than men. Between 100 and 200 people are said to have been buried across the Stonehenge site during the late Neolithic and copper age. A recent study, however, focused particularly on a pit known as Aubrey Hole seven - one of 56 chalk pits encircling the famous ancient site. 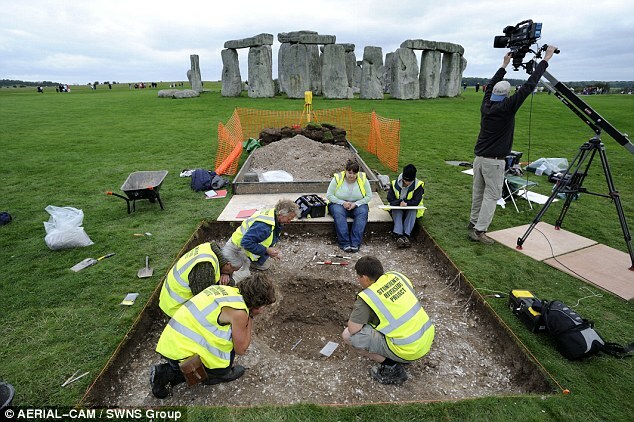 Burial at Stonehenge was likely for people of higher status. As a result, the fragments have become co-mingled - or mixed up. In total, the team recovered 99 lbs (45kg) of cremated bone from Aubrey Hole seven. Researchers identified 14 females and nine males, with the help of CT scans and osteological analysis. 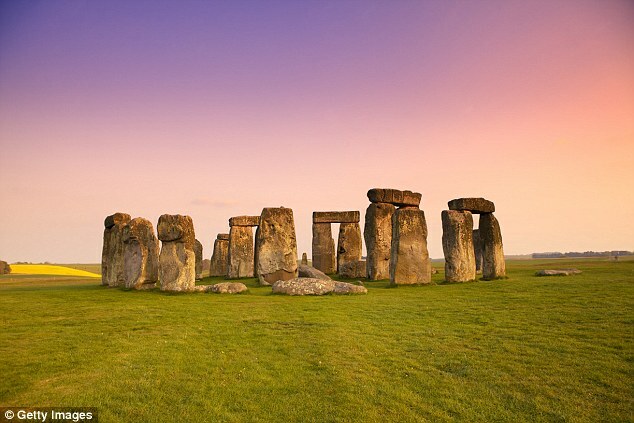 Radiocarbon dating revealed the burials took place from around 3,100 BC to 2,140 BC - among the earliest phases of Stonehenge. This find contrasted with earlier studies from older Neolithic tombs in southern Britain, where burials showed a higher ratio of adult males to females. 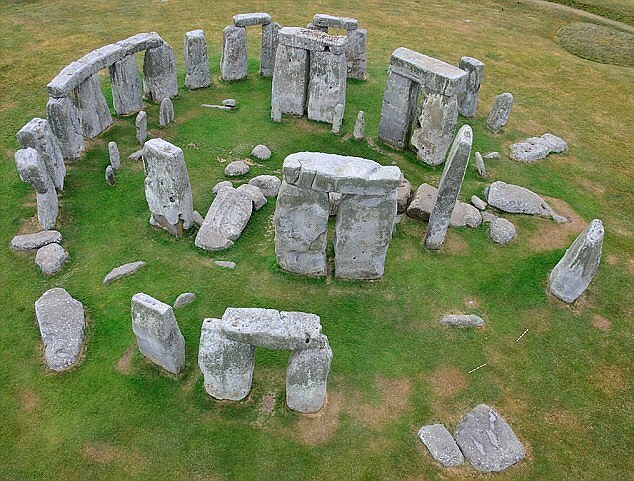 But it supported the theory that Stonehenge functioned as a cemetery for leaders, according to a report published in the latest issue of British Archaeology. 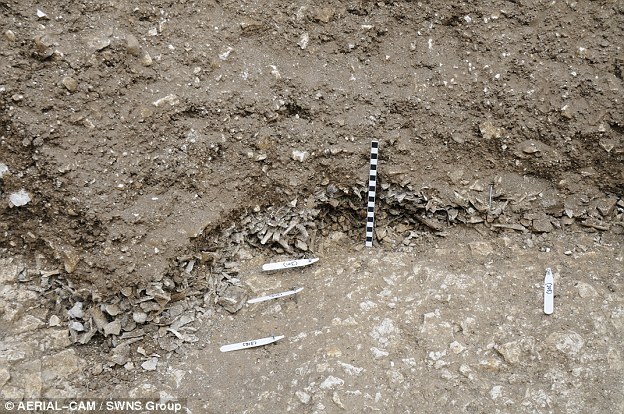 The paper explained that between 100 and 200 people are said to have been buried across the Stonehenge site during the late Neolithic and copper age. This study, however, focused particularly on a pit known as Aubrey Hole seven - one of 56 chalk pits encircling the famous ancient site. Burials at Stonehenge were likely for people of higher status so this this study shows women were members of the elite as long ago as 2,000 BC. These were dug up and reburied in Aubrey Hole seven with the hope that one day there would be a breakthrough to allow them to be analysed. The team recovered 99lbs (45kg) of cremated bone from Aubrey Hole seven. While excavating Aubrey Hole seven, the researchers also discovered an entirely undisturbed cremation burial in its own small pit. In this pit were some long bone pins, which were likely used as hairpins, as well as a mace head. A mace was a ceremonial weapon and maceheads were often placed in burial tombs of people of high status. In particular, stone maceheads were used as symbols of power and, possibly, of rank for several centuries. 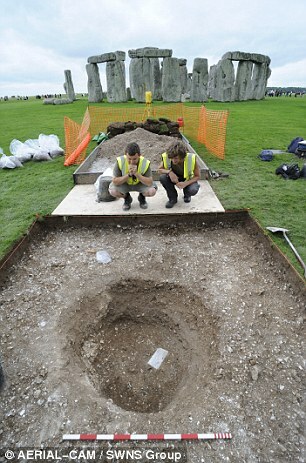 This was the first of its kind to be fully recovered and documented at Stonehenge. Burial sites older than Stonehenge tended to be large mounds containing burial chambers and were built on hilltops far from villages. 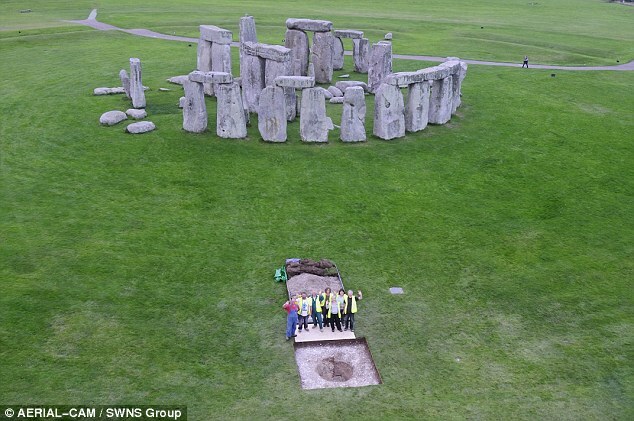 But Stonehenge was built on lower ground relatively near an ancient settlement, which might signify a move from commemorations to communities inclusive of women. WHAT DID THE PREHISTORIC PEOPLE DIE OF? The process of cremation means it is hard for experts to identify marks of trauma or disease, usually visible on unburnt skeletons which are used to work out the cause of death. 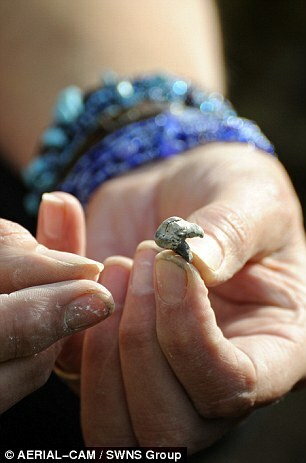 However, some fragments recovered were large enough for the team to pick up on certain clues. They found the most common signs were of those caused by advancing age. These include: intervertebral disc disease, which caused changes to the spinal column, and osteoarthritis of the knee. Backbones also showed new bone growth around the vertebrae’s margins, known as osteophytosis, which are particularly frequent in osteoarthritis - a degenerative disease of joint cartilage. A few bones showed evidence of periostitis, a disease affecting the connective tissue on the surface of the bones. It can be caused by injury, infection, or over-use of a certain body part. They suggest prehistoric people worked hard in the fields to cultivate crops. An unusual sign of trauma on the back of young man’s femur supports this and suggests he had a particularly physically demanding job. Similar marks have been found on the bones of horsemen and coachmen in the 18th and 19th centuries, but there is no evidence that prehistoric people rode horses at this time. The study notes: ‘There would have been plenty of physically demanding tasks’. Last edited by Blackleaf; Mar 23rd, 2016 at 02:17 PM..
Overusing those 3D printers aren't you? Who was Oliver Cromwell's mysterious 'queen'? 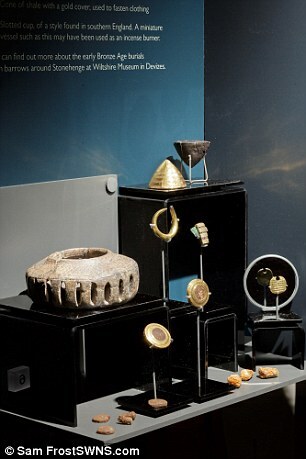 Gardener finds £1 million worth of Bronze Age jewellery. Queen's gowns and jewellery to go on display.